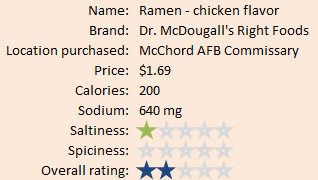 Dr. McDougall's Right Foods Ramen - chicken flavor. McChord Air Force Base has a tiny organic/natural foods section in the commissary. I haven't had a great experience with these type of instant noodles, but I'm here to review as much as I can. 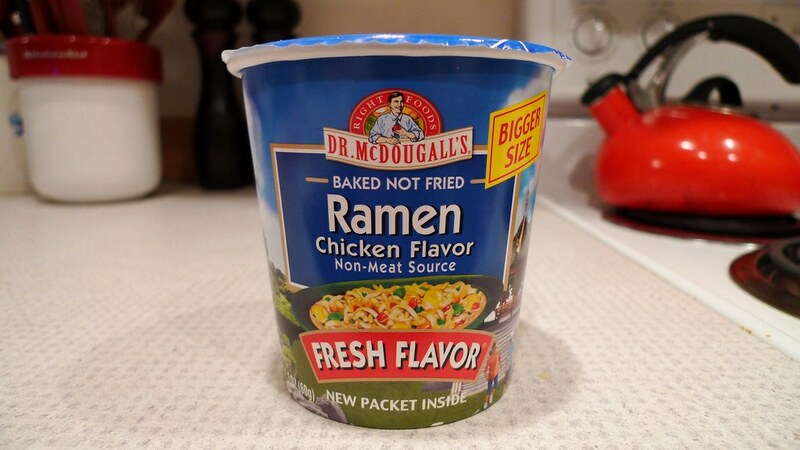 Dr. McDougall's Ramen is a unique cup noodle in that the chicken flavor comes from a non-meat source. That's right. It's vegetarian. Will I like it? Read on to find out. Dr. McDougall's comes in a paper cup that is similar to Nong Shim's Shin Cup. The packaging is actually not too bad, except there's a drawing of the noodles on it instead of an actual picture. Dr. McDougall's Right Foods products are made in San Francisco, CA, and as I mentioned, are all-natural. 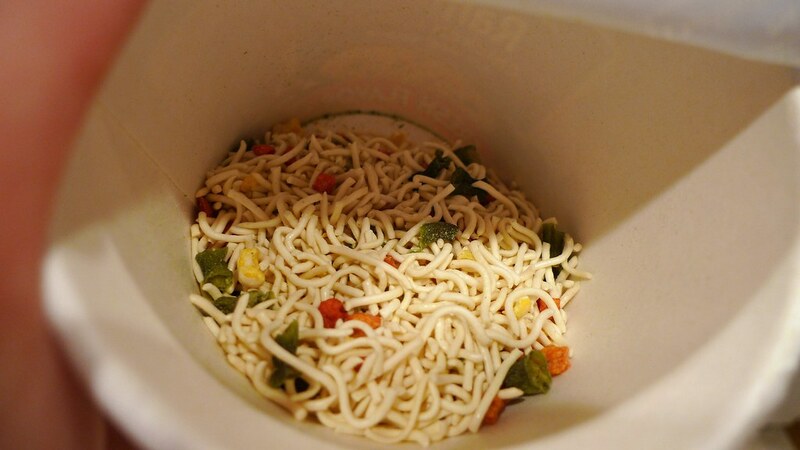 The baked noodles and dried vegetables sitting free in the cup. 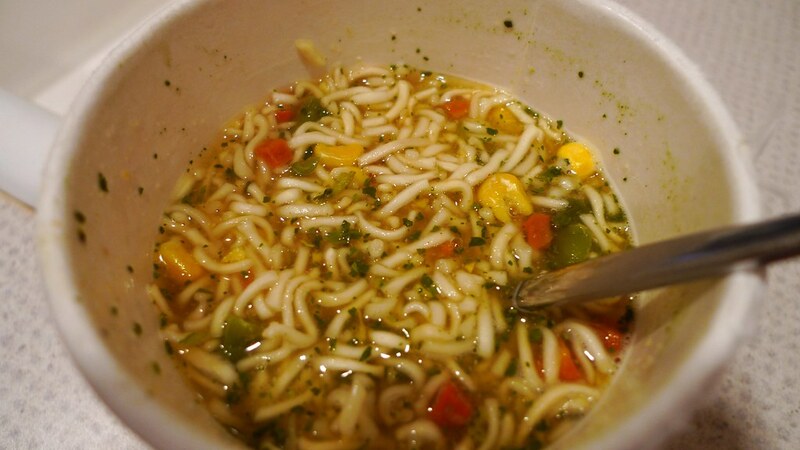 Pop open the top of the cup and inside you'll find a packet of seasoning in the middle of loose noodles and dried veggies. 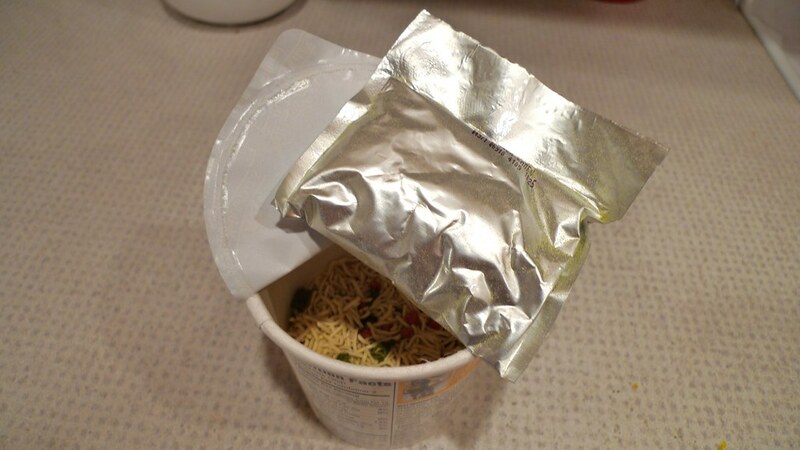 I've never had a cup noodle where the noodles are all loose like that. It must be because they are baked and not fried. Plus, the noodles are really thin and short. About as thin as spaghetti and as short as Campbell's Chicken Noodle Soup noodles. No... shorter. 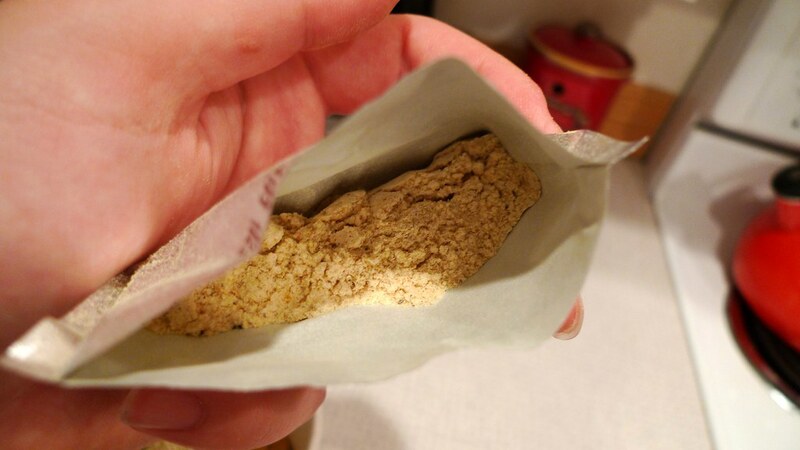 Unlike Cup Noodles, Dr. McDougall's Ramen has a separate seasoning packet, more typical of a bowl noodle. You add the seasoning packet before the water, so I wonder what the point of having the packet is in the first place. Couldn't they have just mixed it in? After cooking, some of the noodles on top looked like they might not have gotten cooked at the way, but after mixing it up good, I couldn't tell a difference. The noodles are pretty tasty and seem to soak up the broth well. The broth is also surprisingly good. I'm surprised that this is true, especially with the lack of natural chicken flavor and sodium content. I could drink this broth a lot. Unfortunately, I think there are too many vegetables in it. It's all good if that's you're thing, but it's not really mine. The carrots, spinach, green beans, and corn were pretty flavorless. 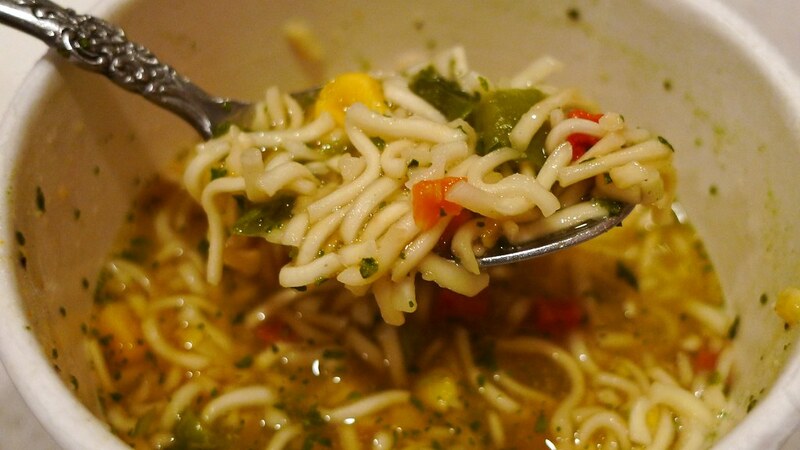 A spoonful of Dr. McDougall's chicken flavor Ramen. Dr. McDougall's Ramen is a case of love the broth, but dislike everything else. Juliana did not get a chance to try it, but she might have liked it. For you vegetarian/natural foods people out there, this might be your cup of tea.